Superhero's and Evil Scientists? Yes please! This book provides the inner monologue of Doctor Impossible (DI for short), the villian, and Fatale, a rookie hero, during the latest of DI evil schemes to, what else could it be, take over the world! There is a lot of the back story of both characters, which provides the overall background of this super-powered world (with Aliens, Faery, magic and evil scientists) providing both their origin story and the story of most of the characters as well as some of the Super organizations. Fatale, for example, is asked to joined the re-formed Champions organization which has its "Superman" powered character at the core, Corefire. And of course the impetus of reforming the Champions is that Corefire has gone missing and Doctor Horrible, his arch-nemisis, is suspected even though he is residing in prison. 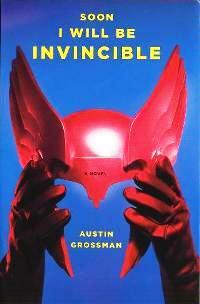 Briskly placed with appropriate background, this is a great read for fans of the superhero genre.